The members of the major bodybuilding forums like this kit the best! From: $199.80 $169.83All kit contents are 15% off & ship free. 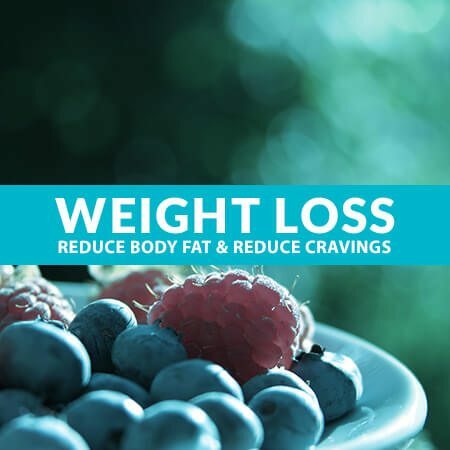 For health improvement, maintenance, & safe increase of lean body mass. This handpicked lean muscle builder kit comes with everything you need. 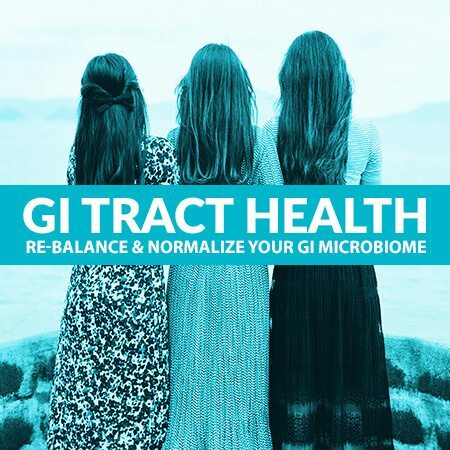 The products included in this kit will reduce oxidative stress, inflammation, cortisol, and blood pressure. They will help protect your body while boosting your workout performance, endurance, lean body mass, and more when taken together. 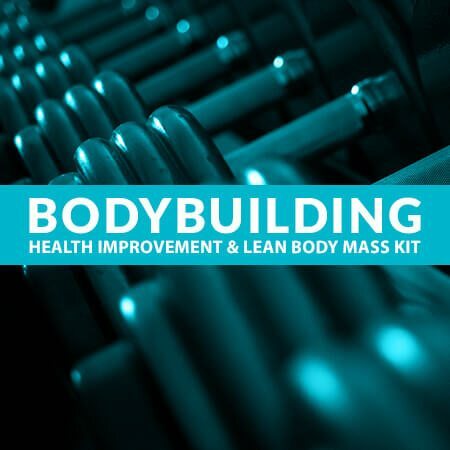 The lean muscle builder does that with this kit filled with supplements proven to increase muscle mass when combined with weight training. Take this for branched chain amino acids and l-glutamine to enhance lean body mass, improve DOMS, endurance, and more. Learn more about BCAA Powder with L-Glutamine. You can never have enough L-glutamine if you're a bodybuilder. Between the intense work-outs and the chance of leaky gut, it's really a must-add. 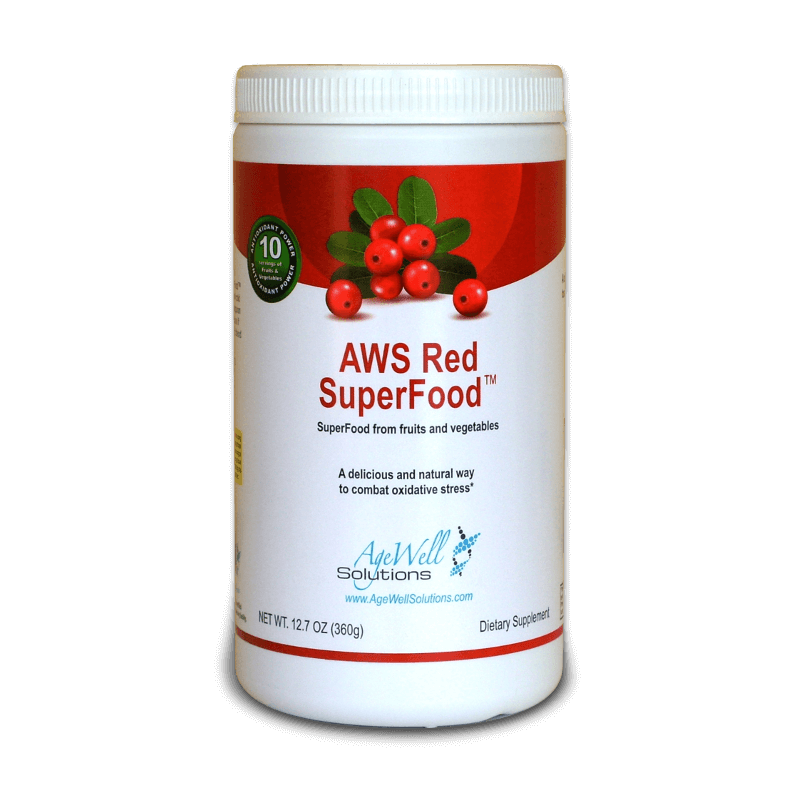 Take this to lower blood pressure and increase nitric oxide to decrease chance of blood clots while also improving workout performance. Take this to fix inflammation in combination with UltraOmega DHA - also in this kit! Take this to fix inflammation in combination with Cumetra - also in this kit! Take this to lower cortisol. Learn more about Adrenal Fusion™. Take this to protect your liver. 5 stars. Totally amazing and awesome for fat loss and mass gain. Perfect supplements. No extra, unnecessary fillers, quick supplements and powders for during or post workout, especially on those heavy days. Anecdotally, I am less sore a day following a heavy workout when I take at least 5 grams immediately after my workout. High-quality BCAAs that mix easily into any pre/post/intra-workout shake. No clumping in a shaker cup – the product is a fine powder that does not stick together in the package. Great price for those looking for BCAAs.The supplements in this package work great too. I was having issues with energy and since Adrenal Fusion, I have had more energy and feeling less lethargic during mid afternoon. I’ve noticed a difference in my workouts but also my overall well-being. I love these products, it totally makes my workout session a successful one, gives me so much stamina! Usually my energy begins to run low after my workouts. I use to work out for at least an hour + and now I’m lucky if it’s 40-45 minutes. I have been taking these supplements for sometime now and I have noticed that they give me so much energy. I feel like my old self again and my endurance has improved immensely !! I recommend all these products to everyone looking for an energy booster that actually works, this product is for you, no doubt. Wow, you have it all in one kit! Every kind of supplement I’m trying to take and more, plus great stuff for increasing my size. It’s easy to find everything I need. Since purchasing this kit, my size has definitely improved but so has my overall well-being. BCAA, SitoNOx, and everything else in this kit are working excellent for me since I’ve been taking them! Since I upped my intense cardio, also know as high intensity interval training, to 5 days a week, and taking 2 of these daily, I have been able to lose 26 pounds in 3 months! With these, I have been able to lose body fat and keep on muscle and gain some too! Overall, this is a must purchase for anyone looking to keep on muscle size and shed body fat with intense cardio!It’s a great value and the benefits are outstanding. I needed this kit years ago. With it all being combined in one package,it has made is easier for me to purchase what I need!! Since taking this kit, I have noticed that my endurance has improved when I am working out and I have increased my reps. I feel healthier and I look leaner than I ever had. I have told everyone at my gym about this great kit. I have recently made several small tweaks to my supplementation and this bodybuilding kit was one of them . Sitopharma makes amazing supplements and powders. I use them almost exclusively after very thorough investigation. These products have reduced my recovery time by DAYS!! I can train harder and I see gains already and this is only my second week with this particular product. Awesome value for the price! I have noticed over the years that my energy has become very low. I have researched ways to increase energy and have tried other supplements. Finding AgeWellSolutions has made everything more simple to understand and how to resolve my energy issues. After purchasing this energy kit, my energy has increased and and I feel like I did ten years ago. I’m a firm believer in these supplements. Great value in a package deal. After placing my first order, I was able to tell that the supplements and drinks were making in a difference not only in how I was feeling but a noticeable difference when I worked out. I am 46 and use to compete when I was younger and an absolute gym rat.I never had results so quick and noticeable. I’m very pleased and will continue to monitor myself even more deliberately thanks to the energy-supplying motivation already experienced by using these supplements. If there’s one product that many athletes neglect, it’s BCAAs. There are thousands of articles explaining the necessity of BCAAs for muscle production, so I won’t go into that and harp on the effectiveness… but the powder is awesome. I’m also a firm believer in getting the required amount of fruits and vegetables daily, I find that the Red and Green Superfoods. Everything that is offered in this package is a great way to help with the increase of your workout or level of fitness. The best you can get! I swear by this product line. Good quality protein powders without the fluff some companies add. Mixes well in warm or cold water. Easy to drink the powders and the supplements are easy to swallow. These supplement are excellent. It arrived very well packaged and got to me really fast! After using this kit for a week I could already tell a difference and would recommend it to anyone I can! Since I do not eat enough fruits and vegetables, I find that this has been a great source of both. I drink one in the morning on the way to work and I have another about thirty minutes prior to my workout. I have noticed a difference in how I feel and I don’t have the urge to snack during the day. When I workout, I have more energy and I have been able to increase my weights. These supplement are wonderful and I highly recommend this to anyone who is looking for that extra push. My boyfriend has been using these supplements since October and has had amazing results. He has increased his lean body mass and on his last visit to the doctor, he was told his blood pressure was lower. This of course was great news since he has been dealing with high blood pressure for years. He swears by SitoNOx and BCAA being the reasons for his great results. He is a firm believer in AgeWellSolutions products and we will continue to order. Thank you for such a great package deal, we love the savings you offer with this package. This package is great. I can definitely see a difference with my recovery in the gym.. Within one months use my bench max went from 265 to 285.. I’ve been lifting for 4 years now and haven’t seen that much of a jump in strength. I feel energetic after taking this product, and my muscles don’t tire. Muscle recovery is more efficient, and muscle mass is noticeable. Since ordering my first package, I have become a member so I will have the discount pricing for life and the ability to speak with Dr. Kim when needed. Best of all worlds. I like how easy it is to purchase the supplements. I am not very computer savvy, and having everything in a kit has made it much easier for me purchase the needed supplements. I have been taking these supplement for several months now and I have noticed the difference in my endurance and I have less body mass than I did prior. I will continue to purchase this one stop shop.